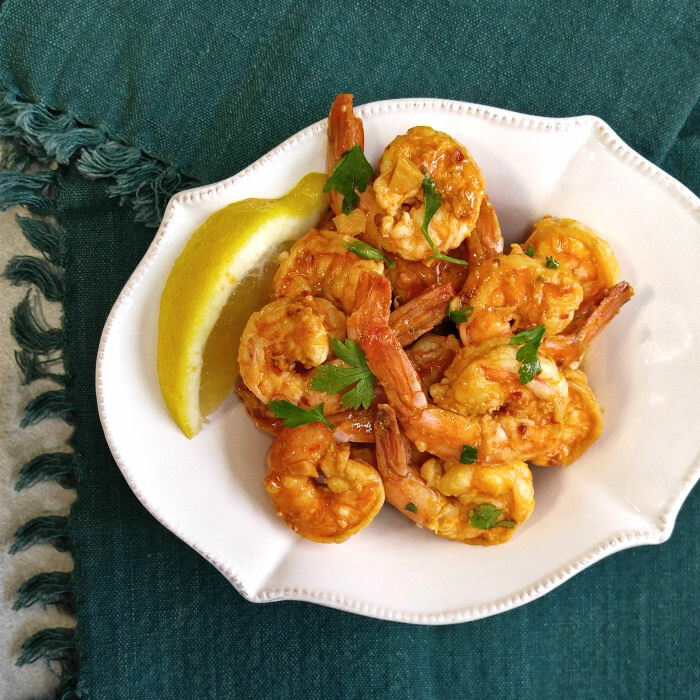 This spicy garlic parsley shrimp recipe could not be easier to make. It is ready in about 15 minutes but has a rich flavor that makes it perfect as a main course, an easy appetizer, or a decadent salad topping. Prep is quick and the dish will be on the table in a flash. If you love the taste of spicy seafood, this dish is for you! 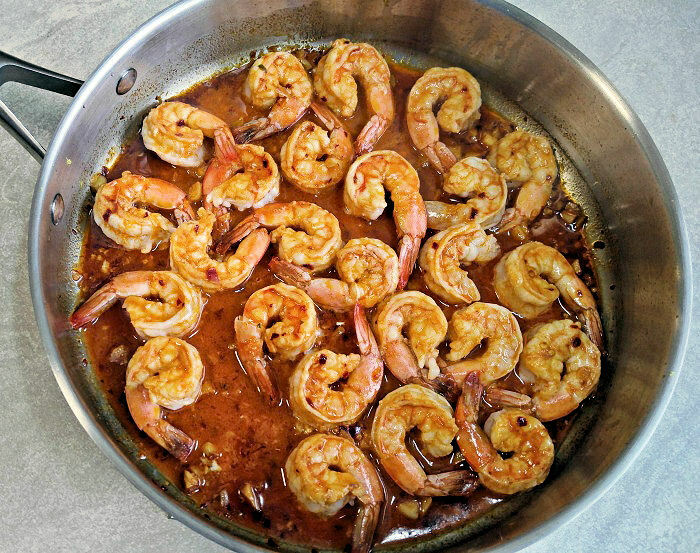 This sauce for this shrimp recipe is made from white wine, garlic, red pepper and paprika and it gives just the right amount of heat. We love shrimp recipes at our house. This low fat seafood is full of flavor and makes it easy to stick to a lower calorie count on your meals. I also love recipes that are ready in 30 minutes or less. Nothing is nicer, after a hard day out, to come home and be able to put together a great tasting dinner in just minutes. And this one is as easy as they get! Start by heating the olive oil over medium heat in a saucepan. Add the garlic, paprika and red pepper and gently heat until the garlic is cooked. Stir in the white wine and cook until the liquid is reduced by half. It will be a rich red color. Add the shrimp, lemon zest and lemon juice and cook for 3-5 minutes until pink and no longer translucent. Be careful not to over cook the shrimp or it will get tough. Just a few minutes is all you need. That’s all there is to it. Just add a bit of fresh parsley to give it some color and serve. The taste of this delicious shrimp recipe is out of this world. The red pepper and garlic gives it a nice spicy kick. If you like recipes with a bit of heat, you’ll love this one! The shrimp is tender and the white wine balances out the spice in the dish beautifully. 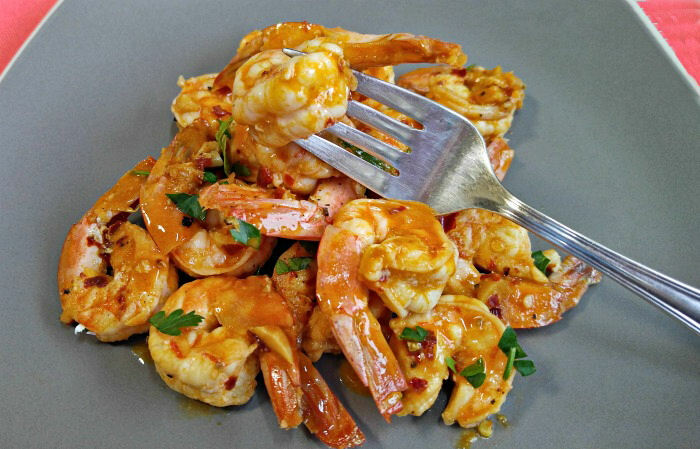 Let’s get creative with this spicy shrimp recipe! This recipe is very versatile and so, so tasty. Its can be served as a main course with It makes a great main course with some pasta, or rice and steamed veggies. But you can also use it in other ways too. 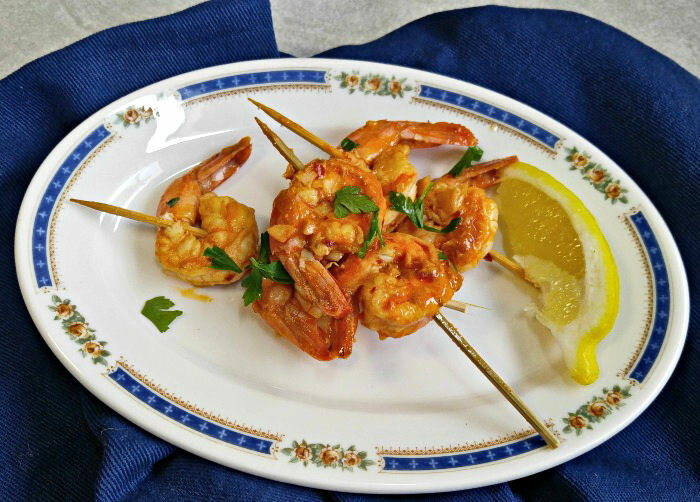 Thread the shrimp on some skewers and server it as.an appetizer drizzled with the spicy wine sauce and some lemon. It makes a perfect cocktail party snack. I love to use these spicy shrimp in a salad. 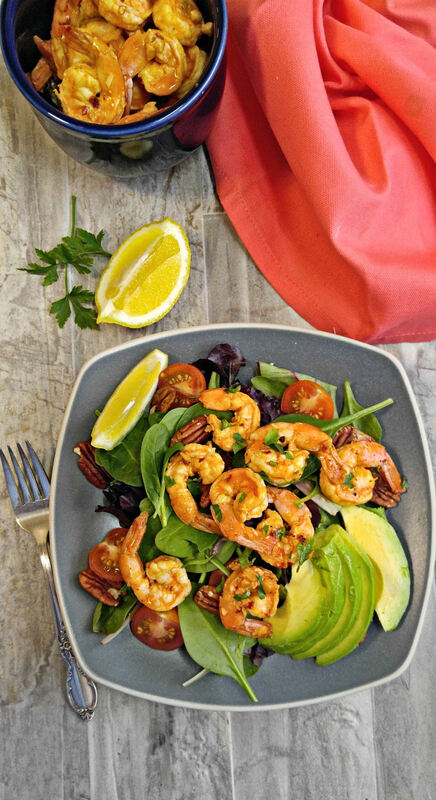 Just pile on a couple of cups of baby mixed greens, some halved cherry tomatoes, pecans and avocado slices. 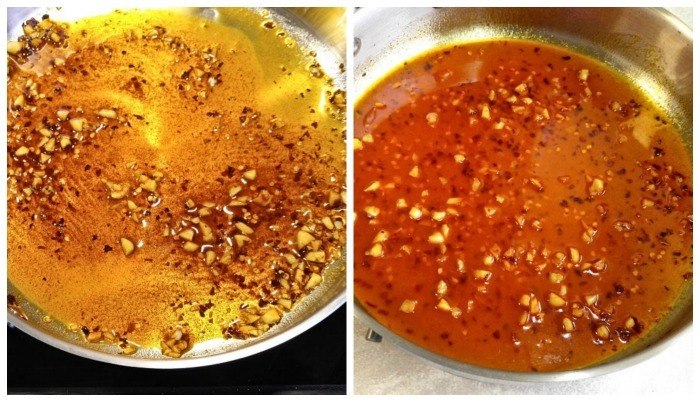 Drizzle with some olive oil and vinegar, or your favorite salad dressing and top with the spicy shrimp. It makes an amazing lunch! 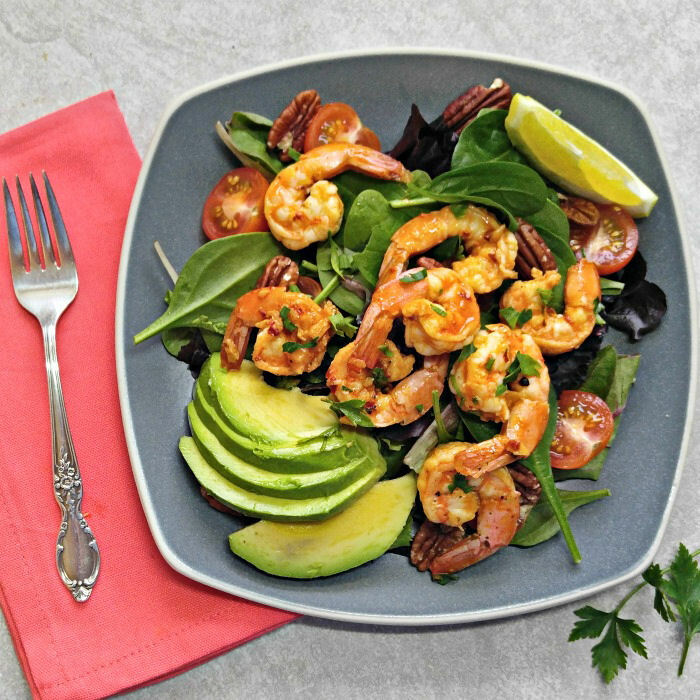 This spicy shrimp recipe makes three generous servings at only 139.7 calories each. It is Whole30 compliant, Paleo and gluten free. 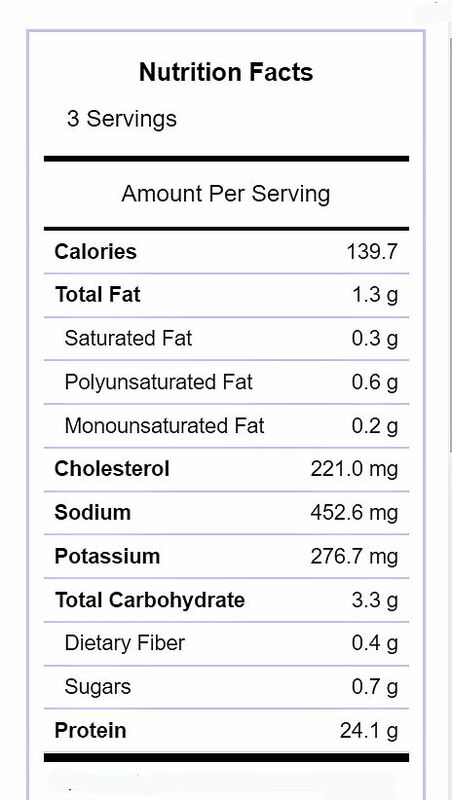 The recipe is low in fat, carbs and sugar and high in protein. It packs a healthy punch in a delicious little bite. If you are looking for an easy and quick recipe that will really impress your friends, you can’t beat this 15 minute spicy garlic parsley shrimp. I like to make a big batch of it so that I can use it in several different ways. Cooking Tip: For the best presentation of this recipe, be sure to get rid of the veins in the shrimp. It is much easier than you would think. Click here see how to de-vein shrimp in just minutes. Editors note: This post was originally published in 2013 and has been revamped and updated to include new photos, and nutritional information for this spicy garlic parsley shrimp recipe. In a skillet over medium heat, cook the olive oil. Add the minced garlic, red pepper flakes and paprika and sauté for 1 minute until cooked slightly. Stir in the white wine and cook until the liquid has reduced by about half. Increase the heat to high, add the shrimp, lemon juice, lemon zest stir well, and sauté until the shrimp turn pink and are opaque throughout, about 3-5 minutes, turning half way through. Season with Kosher salt and cracked black pepper. Sprinkle with chopped parsley and serve. To serve as an appetizer, thread the shrimp on cocktail skewers or mini bamboo skewers and drizzle with the sace. To serve as a salad, add baby mixed greens, cherry tomatoes, avocado slices and pecans. Drizzle with the sauce, add the shrimp and toss gently.